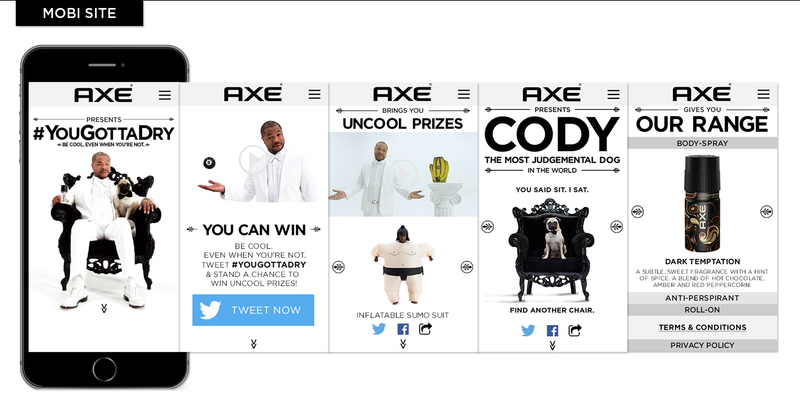 AXE: #YouGottaDry. Be Cool. Even When You’re Not. 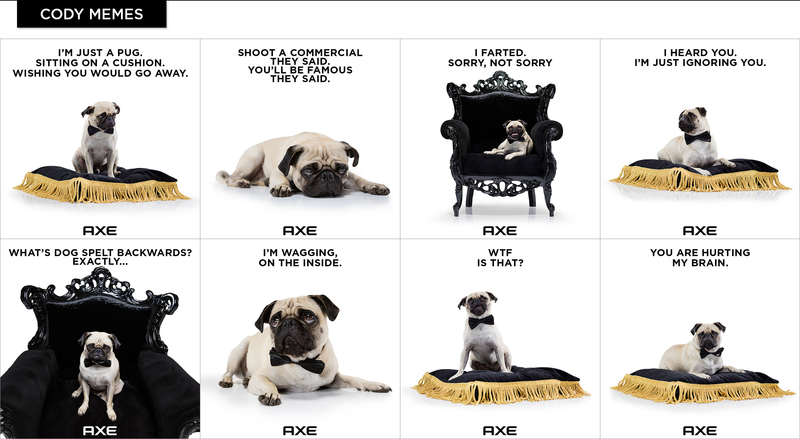 Launch AXE’s Dry anti-perspirant range, which now comes in an all white can. The majority of personal care ads depict men as demigods and superheroes, with perfect hair and sculpted abs. But let’s be honest – most guys are far from that. In actual fact, guys are chunky, and rough around the edges. They make terrible fashion choices and sometimes, just sometimes, they’re plain weird/uncool. AXE Dry Isn’t going to change that – all it’s going to do is keep you fresh and cool. And that’s okay. Let’s flip traditional male personal care advertising on its head and give guys a reason to feel okay with being who they truly are. As long as they’re using AXE Dry, they’re COOL. Even when they’re not. 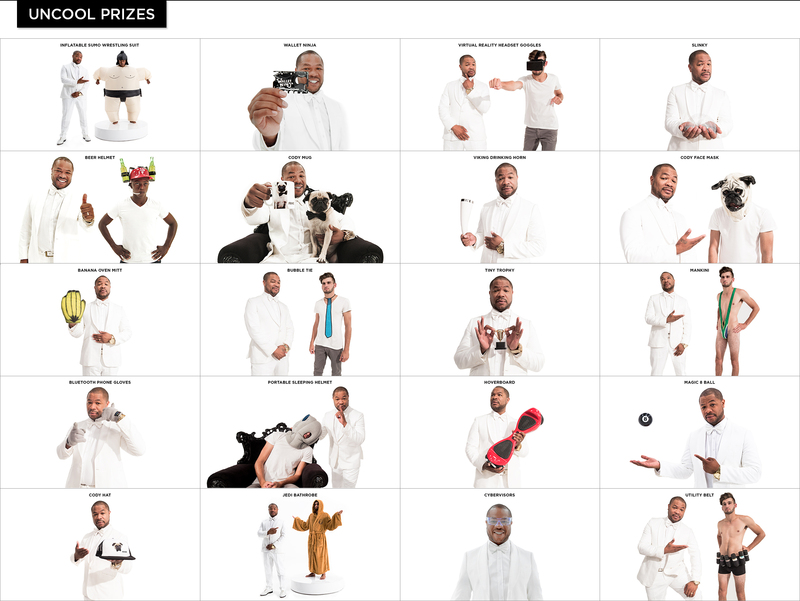 This Digital Integrated Campaign hinged on a promotion to WIN really uncool prizes, like a Jedi bathrobe, an inflatable sumo wrestler suit or even cyber visors. Yes, cyber visors. The campaign lived purely on social media and was launched with call-to-action videos tailored to Facebook, Instagram and Twitter. We chose Xzibit to be our frontman – a guy that oozes confidence styled all in white as a metaphor for everything AXE DRY embodies – coolness and freshness. His job was simple: call on guys to comment using #YouGottaDry on campaign content to stand a chance of winning. 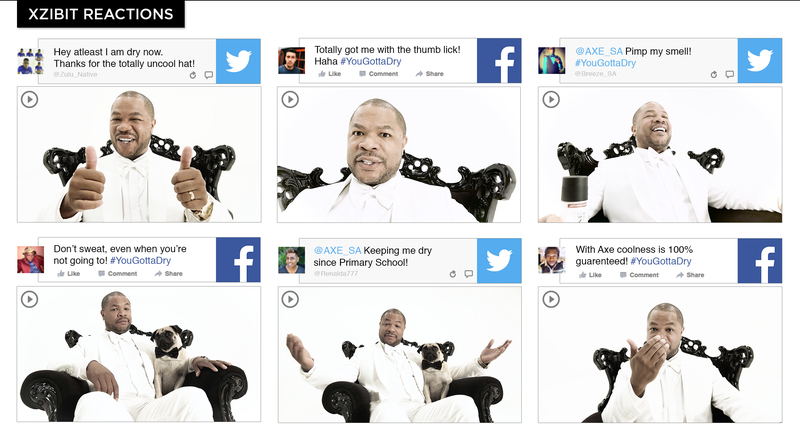 Winners were announced in the social stream with ‘flipping’ funny personalised response videos from Xzibit. Even Cody, “the most judgemental dog in the world”, got in on the fun by licking users’ screens, like only he could. Finally, winners were asked to post photos/videos using their uncool prizes for a chance at winning R10 000, allowing for a stream of funny, user-generated content. 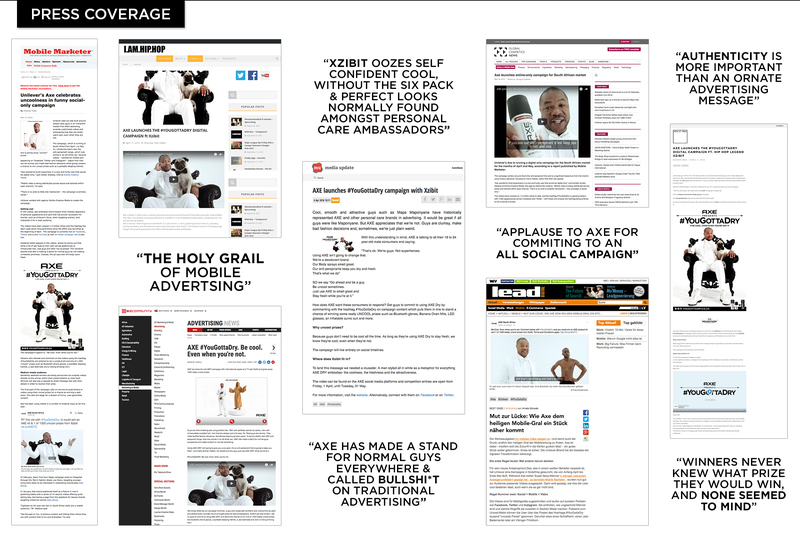 Our use of New Media types with tongue-in-cheek creative executions made sure we kept everyone tuned in for more. Our content reached over 1 million video views on Facebook and Twitter in two months. Sales increased by 22% over the campaign period. 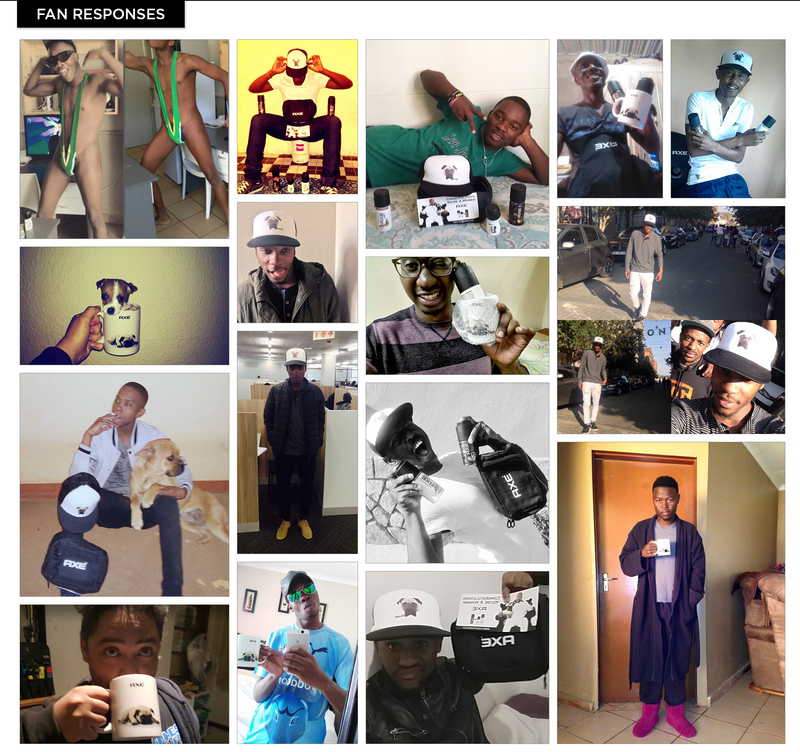 Prize winners continue to share their user-generated content as we seek to crown our overall winner.